Wow, what an awesome weekend! 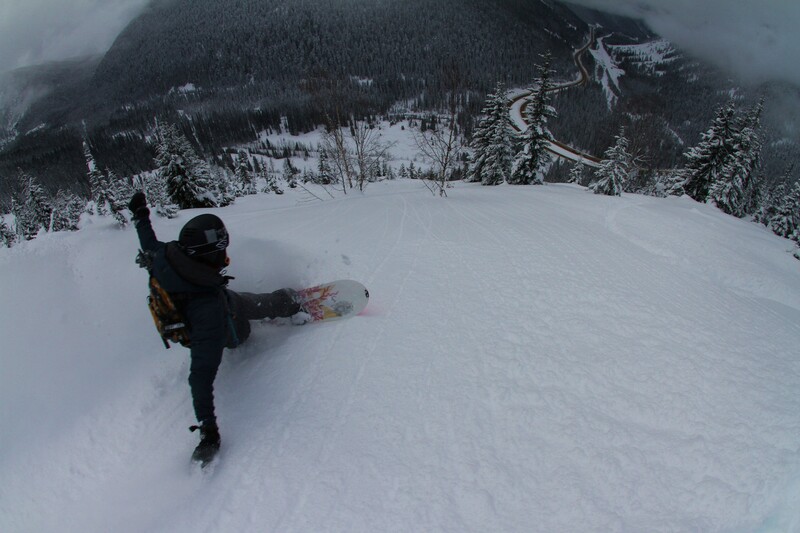 Many thanks to Wade at TreePilot for organizing a great fundraiser up at Rogers pass, drawing 100 + splitboarders from far and wide and raising $4500 dollars for the CAA and the CAC. Outstanding! 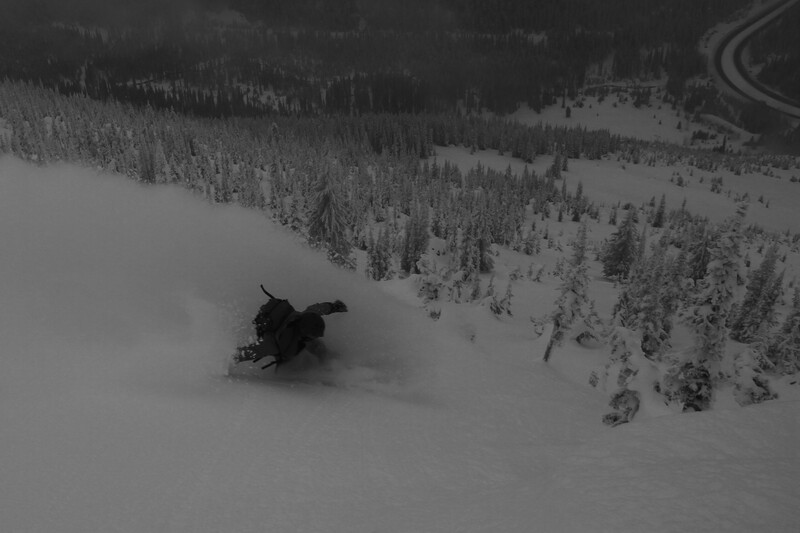 The conditions were epic, nice settled pow on all aspects. Alister and Bucky from Chimera were up from Salt Lake City, and we had a sweet run on Avalanche Crest on Friday. I have been up and down many hills with the famous 2 Mill Hill, but never with him on a snowboard. In the spirit of SplitFest, Greg joined our posse on Saturday equipped for some sideways shredding. I snuck into the first shot just ahead of him, expecting to leave him in the dust. When I pulled up to a stop after 1500′ of dreamy powder, there he was, right behind me with a huge grin on his face! Here is a clip of the man himself on the third run of an 8000′ day. The Unicorn Chaser, 160 cms of tapered, swallow-tailed nimble fun. 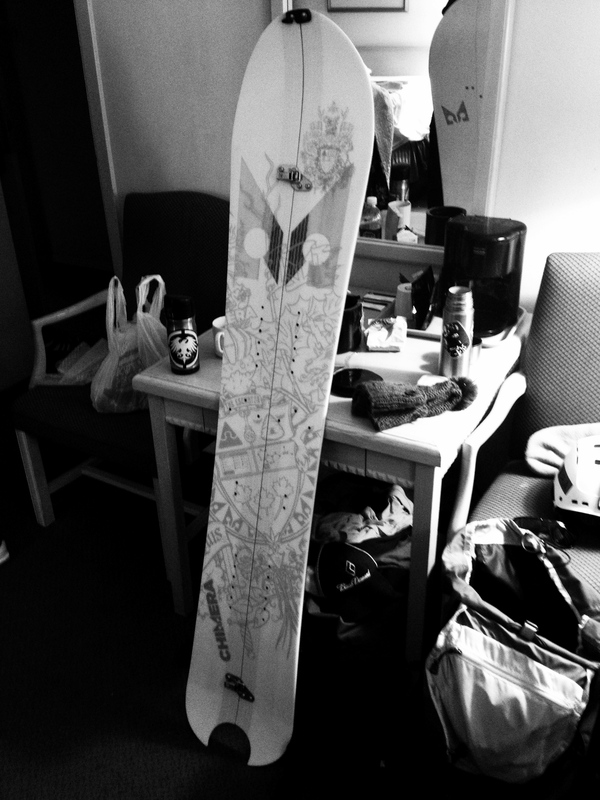 I have four days on this board so far, all in deep powder conditions, and I love it’s versatility. Good flotation, very easy to turn in trees and gullies, and perfect for faceshots. Not the board I would grab for mountaineering objectives, but a rockin’ good time for everyday powder. Anyone interested in giving it a try in the Revelstoke area? Please comment.